Parents/Guardians are invited to take the opportunity to participate in this programme to encourage the growth in faith of their child/children and to renew their own faith. The details of the school Religion Programme pertaining to Confirmation are outlined below to further help parents/guardians and all our parish community to appreciate the relevance of the Sacrament for the faith development of our young parishioners. In these months approaching Confirmation it would be appropriate to remind ourselves of the important points concerning Confirmation. As Schools, Home and Parish continue with preparations to celebrate this wonderful Sacrament let us consider thoughtfully the journey from Baptism to Confirmation. Through this journey the young person becomes a member of God’s Church on earth. In our culture we are familiar with babies being received into God’s family, thus the decision to baptise the child lies entirely with the parent(s). In the Religion Programme we are reminding the children that their parent chose Baptism out of love for the child and also because the parent wants everything that is good for their son/daughter. Thus Baptism is based on the Faith of the parents. In Confirmation the young person is asked to renew his/her Baptismal Promises. Now, he/she is asked to choose the Christian Life for themselves, having learned what it means to be a Christian from their experience of home, school and their parish environment. All sacraments give us strength – the strength to live good Christian lives. The young person at the age of twelve or thirteen is at a crossroads. Childhood is being left behind and the teenage years beckon. These years should be filled with the wonder of new life, growth and development. However we all know how hazardous the journey through the troublesome teens can be. As so many new grey areas enter the child’s life the commitment to live a good Christian life can be challenged. It is by the grace of Confirmation that the young person is protected. (1) Continuity – The journey from Baptism to Confirmation and on to a full Christian Life. (2) Conversion – To live a new Way of life – to change from material values to more Spiritual ones. To live for others – to serve others. To give good example- to work for a world filled with truth, justice, peace and love. (4) Commitment – To build God’s Kingdom we need to be committed to what this Kingdom means. It is not a part-time way of life – it is a full-time job which requires our utmost attention all the time. ‘To err is human.’ – so therefore the Christian has a back up service – that is the other sacraments of Reconciliation and Holy Communion. These sacraments constantly replenish our Spiritual hunger. (5) Community – We are confirmed members of the Church. We are all in this work together, each person trying his/her best to build God’s Kingdom. Confirmation is celebrated by the whole community and the Christian families present support, celebrate and delight in the presence of its new members. Jesus promises the Spirit to his Apostles – to give them courage and strength and to be with them until the end of time. The Spirit brings gifts, once the gifts are received they begin to bear fruit in our lives. Hopefully the young people have already seen these gifts in action at home, in school, and in the Community as well as in history and in the Bible. (1) Wisdom – God’s Spirit can help you to know the right thing to do and the right way to treat others. (2) Understanding – God’s Spirit wants to help you to use your feelings in ways that won’t hurt or crush others. (3) Right Judgement – God’s Spirit can help you to examine all the messages you get from social media, TV, pop music or magazines, and help you decide what’s only on the surface and what’s really important. (4) Courage – God’s Spirit will help you to stand up for what you really believe in, even when it’s not the popular thing to do. (5) Knowledge – God’s Spirit will help you to know God more in your heart and to know your path in life. (6) Reverence – God’s Spirit can teach you about the sacredness of the Earth and all who live on it. (7) Wonder and Awe in God’s Presence – God’s Spirit will remind us that since your Baptism, you, and all that you do, are filled with the same Spirit of God. In Confirmation we make a commitment to try our best to become the kind of people whose lives show the fruits of the Holy Spirit. At Confirmation we are given a special responsibility to help create the Kingdom of God on Earth. Jesus, bless in a special way our young people who are preparing for Confirmation. Help them realise that Confirmation is a vital and important step on their journey to God….that it really is the Gift of the Holy Spirit. Jesus, help them realise that at Confirmation you will be giving them a very important job to do …… to be your witnesses in the world, and that your Holy Spirit who will descend on them that day, will help them to do that job well. Jesus at twelve years of age you showed you were becoming independent when you strayed away from your Mother and St. Joseph. Jesus, bless our young people who are about to enter the adolescent stage of development. Guide them, Jesus, during the rough and stormy time…. 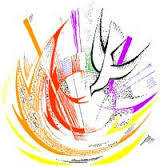 And at Confirmation may the Holy Spirit strengthen and direct them on a rough portion of life’s climb. Jesus, keep them safe in body and soul. Lord Jesus, source of all light and goodness, enlighten all parents and guardians. Help them to realise that they are the first and most important teachers of the Faith to their children. Help them to be always firm stepping-stones leading our young people to you. May they always profess the Faith by what they say and do. In response to your call to be parents and guardians may they be effective transmitters of the Good News to them. Lord Jesus, you were the perfect teacher. Even at twelve years you surprised the doctors of the law by your intelligence, and by the answers you gave them. Give to all teachers the graces and blessings they need to live up to their noble calling. May they never lose hope or get discouraged, always bearing in mind the unique privilege they possess – to be co-operators, co-workers with parents in passing on the Good News to the Young. Be our leader and guide.